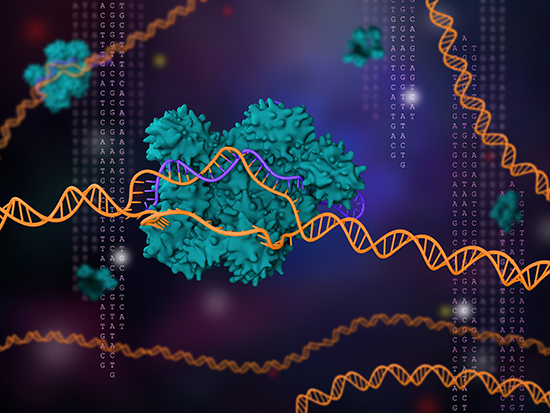 To focus drug developers on the worst of the worst, researchers from the Wellcome Sanger Institute, GlaxoSmithKline, EMBL-EBI, and Open Targets conducted one of the largest CRISPR screens of cancer genes to date, disrupting nearly 20,000 genes in more than 300 cancer models from 30 cancer types to uncover which genes are critical for cancer survival. The team focused on common cancers, such as lung, colon and breast, and cancers of particular unmet clinical need, such as lung, ovarian, and pancreatic cancer, where new treatments are urgently needed. “What makes this research so powerful, is the scale,” said Professor Karen Vousden, Cancer Research UK’s chief scientist. “CRISPR provides a unique tool to accelerate discovery of oncology drug targets, and this study is a salient leap in a positive direction. “The Cancer Dependency Map is a huge effort to identify all the weaknesses that exist in different cancers so we can use this information to empower the next generation of precision cancer treatments,” explained Mathew Garnett, Ph.D., co-lead author from the Wellcome Sanger Institute and Open Targets. “Ultimately, we hope this impacts on the way we treat patients, so many more patients get effective therapies.